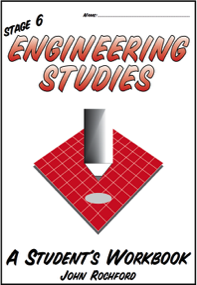 Package offer: Purchase the set of 4 Engineering Studies Workbooks for a total price of $77 - a saving of over 30% on the RRP. This book is not module specific - it (logically) aims to develop concepts before applying learnt concepts to specific application and focus modules and is thus eminently suitable for the new syllabus changes. It presents the required syllabus information in a logical sequence and does not fragment content. 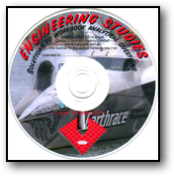 One inexpensive book for both years 11 and 12 and is designed to be used in conjunction with our Engineering Studies DVD #1. This highly successful book is regularly up-dated to provide students and teachers with the most up-to-date developments in Engineering Studies. This workbook is ideal for those students/teachers who are looking for a student friendly presentation so that they do not have to wade through heaps of written, often irrelevant, slabs of unattractively presented information. The Workbook is used by most Engineering Studies students in NSW. It contains all of the up-to-date Mechanics and Materials content for each module of the course, in user friendly language so that students (and teachers!) can gain confidence from a classroom presentation and from private study. The Workbook is set out in a simplified dot-point way so that students can use this Workbook as a study summary. Presentation is such that students can easily study from the contents and from their annotations made during class. The workbook has practical experiences/challenges and review questions, that have been developed in class by John, for each of the the 10 units. The practical experiences have proven to dramatically enhance students’ understanding of engineering concepts as well as increase class numbers - and they are also fun to do! A CD is available with solutions to the analytical questions in this workbook - cost is $20 for a single copy and $40 for a school network site license.